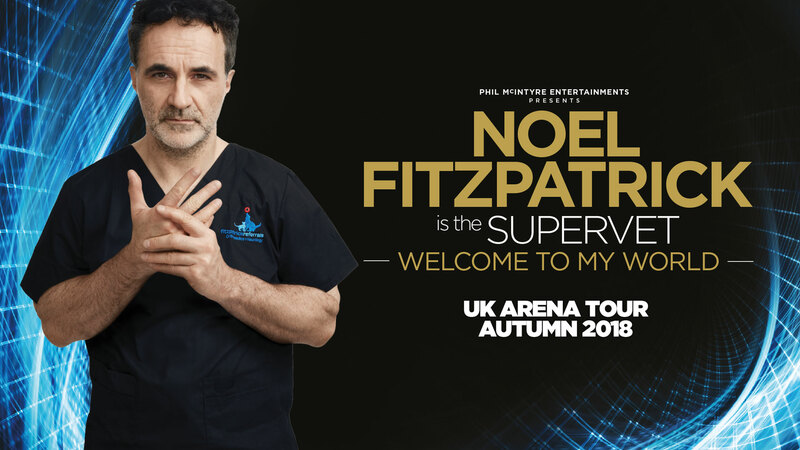 Professor Noel Fitzpatrick – aka Supervet – will be bringing is Welcome to My World UK and Ireland tour to the East of England Arena and Events Centre on November 23. In his first ever live stage show, Noel will take audiences on an extraordinary and emotional storytelling journey from his early years in Ireland – where his dreams of becoming a vet propelled him through childhood; to international veterinary training and practice; and on to the forefront of the revolution in bionic and regenerative medicine. The East of England show is an extra date to the tour, due to popular demand. Noel said: “I’m delighted to be adding Peterborough to my tour later this year. I’m looking forward to taking everyone on my journey from a field in Ireland, to the world of regenerative bionics, where everything becomes possible. Welcome to my world!”. This groundbreaking 23 date tour – a must for all animal lovers and fans of the TV show alike – will see Noel enlighten audiences with his incredible life story and explain how he became The Supervet we know and love.